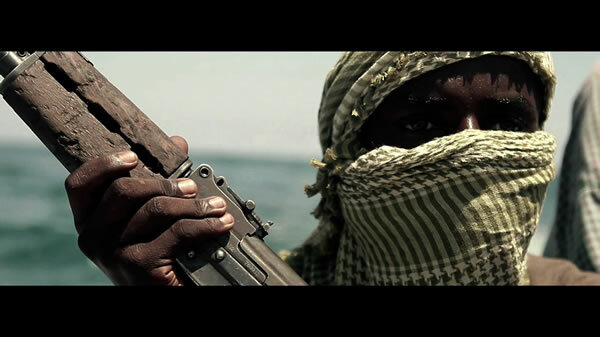 A few years ago, stories about modern-day pirates terrorizing the waters off the Somali coast started to emerge, and eventually it led to a small media frenzy. In 2008, the world watched as rescue measures were taken to save kidnapped French couple Bernadette and Jean-Yves Delanne, who were abducted by pirates while sailing home from Australia aboard their yacht, the Carre d’As. Eventually, French Special Forces freed the couple in an operation that left a pirate dead, and six more arrested. Although this happened several thousand miles away from the Californian coast, for Los Angeles based director Cutter Hodierne, the story hit close to home. Just before he was born, Hodierne’s parents sold everything that they owned and bought a 32-foot cutter-rigged sailboat; Cutter spent the first three years of his life sailing the South Pacific Ocean. At the time, the area was one of the first and only places one would hear about modern-day pirate activity. When reminded of the French couple, Hodierne says, “That could’ve been us.” Over twenty years later, the early memories would lay down the groundwork in what would become the short-film that introduces Sundance to Cutter Hodierne. In the last few years, many rumors about Somali pirate movies surfaced, disappeared, only to resurface, including a possible film directed by Paul Greengrass, starring Tom Hanks as a ship Captain who encounters Somali pirates while at sea with his crew. Somehow, it didn’t sound like the story we wanted to hear. Luckily, it wasn’t the story Hodierne was interested in telling either. 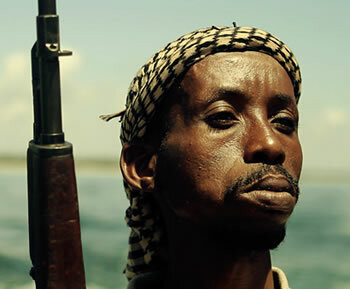 Fishing without Nets is a tale about Somali pirates, told through their perspective, in Somali with English subtitles. In the making of Fishing without Nets, Hodierne shows an incredible amount of dedication: he traveled to Kenya, did the research, scouted the locations, and mingled with the local population. “We travelled to Africa for what was supposed to be five weeks,” Hodierne told me during a recent telephone conversation. “We ended up getting carried away a little bit, and staying three and a half months.” Most of this time was spent in Mombasa, a Kenyan city with a notable Somali population. During this time, Hodierne and his crew cast the actors by holding informal auditions in a local nightclub, or sometimes simply by picking out potential actors off the street. “The hardest part was getting the weapons from the Kenyan police,” remembers Hodierne. “They simply didn’t know if they should trust us.” In the end, the weapons were acquired and the actors were able to arm themselves to the teeth to accurately portray the fierce characters. Documenting such a topic is however not a simple task. “It is the very definition of ‘complicated’,” recounts Hodierne when asked his opinion on the way these pirates were portrayed in the media. “I think my opinion of them was more romanticized before I made the movie actually, maybe the earlier pirates had more of a Robin Hood-like element to them,” said Hodierne, citing examples such as fighting against the dumping of toxic waste in Somali waters, as well as fish theft. 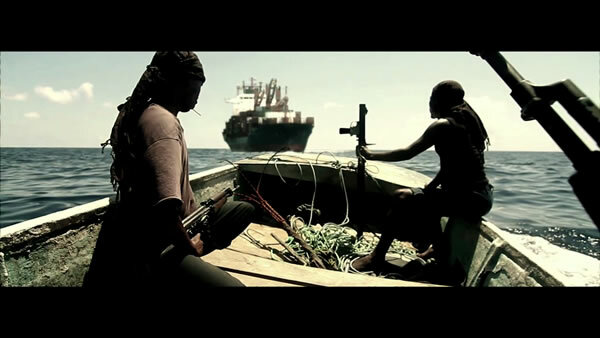 Hodierne however states that his film’s intentions are neither to romanticize the pirates, nor are they to demonize them; in the vein of City of God, the film merely tries to understand the roots of a very complicated issue, often far too simplified in mainstream media. Fishing without Nets will be screened at Sundance Film Festival, taking place in Park City, Utah from January 19th to 29th. If all goes according to plan, the feature-length version will be shot in 2012, for release in 2013. Watching the trailer, witnessing the dedication present in this project, and listening to Hodierne speak so passionately about his artistic endeavor, one would assume that things should go exactly according to plan.